By Sept 2015, the Visionaries of Infinite Potential (VIP) group will have raised $25,000 for the University of New Mexico (UNM) VIP School of Engineering Endowment. This Endowment will generate about $1,000 worth of scholarships each year for engineering students. It's a gift that keeps on giving in perpetuity. A group of alumni, family, and friends are individually contributing money towards the VIP Endowment. To raise additional funds for more scholarships, we are leading a 5k charity run on UNM Campus starting at 8am on Saturday, Sept 6th. This run has a goal of raising $3,000. Name of Run: Peak Family Dentistry's "Run Nerds Run! 5K"
Parking: Parking will be in UNM parking lots A, B, or C as shown at http://pats.unm.edu/maps/2014-2015-map.pdf. B is the closest parking to our event, which starts at Centennial Engineering. You can also park at the Central United Methodist Church, but in numbered spaces only, not in "Church use only" marked spaces or handicapped spaces. The church is also very close parking to the event and its address is: 201 University Blvd NE, Albuquerque, NM 87106. Volunteers: We will have plenty of volunteers to ensure people are safe, stay hydrated, and have fun. Sponsors: Peak Family Dentistry, Secret to Life Coaching, Electronic Money Company, ABQ Running Shop, Tohkon Dojo, Smith's, Cheba Hut, Saraha Middle Eastern Eatery, Zinc Wine Bar & Bistro, and Bistronomy B2B. 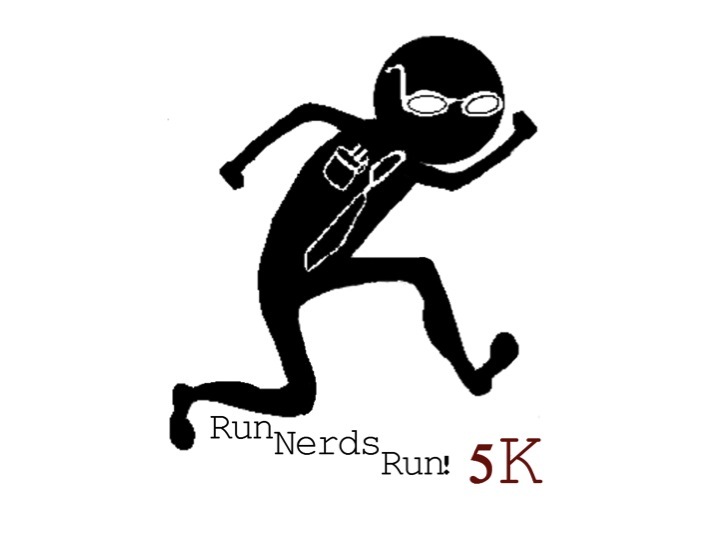 Email RunNerdsRun5k@gmail.com to learn about Sponsorship Benefits and Advertising Openings. Pre-Run Pickup (Recommended): Come to ABQ Running Shop 4-6pm on Friday, September 5th. Address is: 6550 Holly Ave NE Suite D-2, Albuquerque NM 87113. Race Day Package Pickup: Come get your race-pack and T-shirt on race day from 6:30am-7:30am at the Centennial Engineering Courtyard. Race: Starts at 8:00am. As soon as you cross the Starting Line, your time begins. Further instructions will be given on race day. Prizes: Will be announced as soon as the last runner completes the course. We are estimating around 9:00am. After Party: We will have drinks and refreshments at UNM's Centennial Engineering building starting at 9:00am. Come socialize with your friends, family, and fellow Nerds!